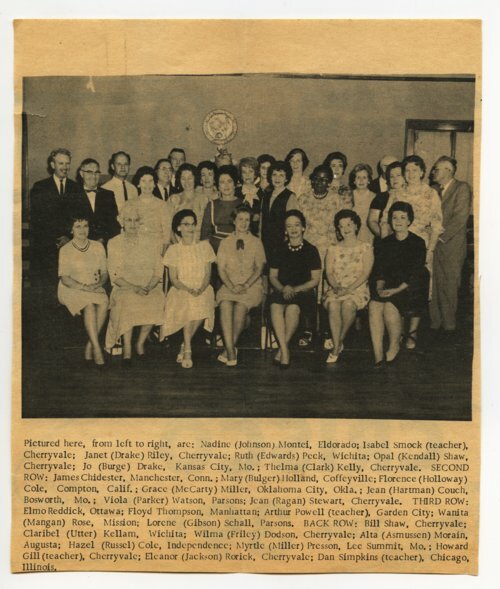 This is a photograph of the 30th class reunion of the 1934 Cherryvale High School senior class. It was held at the country club in Cherryvale, Kansas. There is also a photograph from the newspaper with the class members identified. An article about the reunion appears in The Cherryvale Citizen, June 18, 1964.